Paul Nugent’s art is located in the ambivalent areas of past and present; multiplicity and uniqueness; presence and absence. 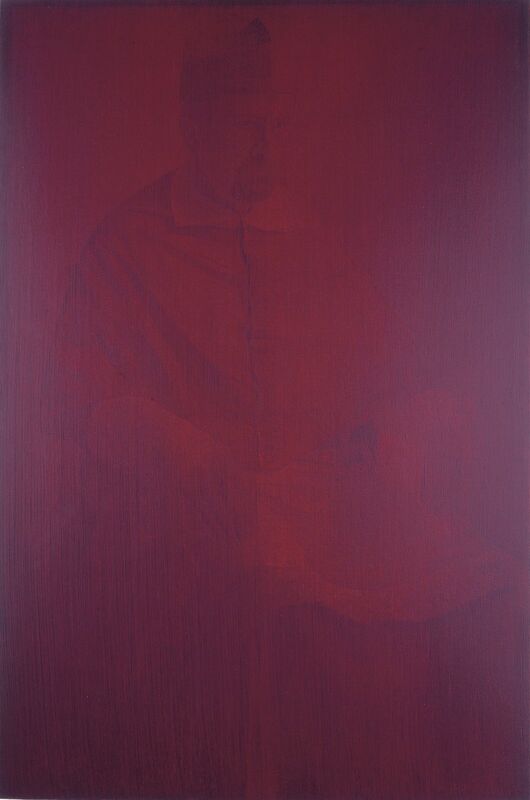 Working in series, from the earlier ‘Six Sisters’ to this ‘Cardinal’ series of seven, Nugent paints a single ecclesiastical figure in a manner that evokes earlier Dutch and Renaissance art. 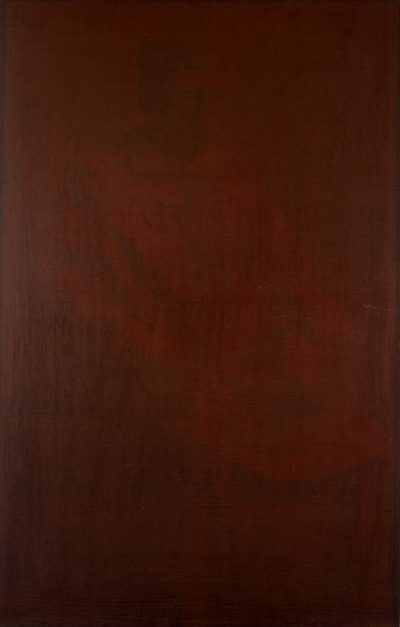 Starting from a single photograph, the artist draws the figure on gessoed board over which acrylic paint is applied followed by washes of colour and glazes. The paintings appear as single colourfield abstract paintings at first glance and only reveal their contents over time. The figure is repeated in a fugue-like movement across the series as it alternatively moves towards us and then away, is obscured and revealed, setting up associations between what we see, know and remember. Nugent did not intend the works to be viewed chronologically but rather in the manner of their creation, “slowly and contemplatively”*.